I've treated hundreds of women through the years who struggle with their menopause symptoms. 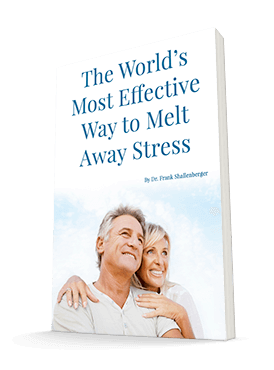 So I'm always on the lookout for breakthroughs to help you relieve the unpleasant symptoms that come with this time of life. Many alternative doctors have started using bio-identical hormones. But I'm not one of them. I just don't believe God meant for you to have active estrogen in your body after age 50. If He did, your ovaries wouldn't tire out then. In the past, I've told you how pleased I've been with the herb black cohosh for menopause. Now there's exciting news that combining this wonderful herb with St. John's wort will give you an even better result. Researchers divided 301 women into two groups. All of the women complained of menopausal symptoms for at least three months. Researchers gave one group a combination of a St. John's wort extract (containing 0.25 mg hypericine) and a black cohosh extract (containing one mg triterpene glycosides). The participants took the extract twice a day for the first eight weeks, then once a day for the remaining eight weeks. The other group received a placebo. After 16 weeks, the researchers compared the active group to the placebo group. The subjects in the active treatment group experienced significant reductions (a whopping 50%) in physical symptoms. The placebo group dropped only 19.6%. Psychological symptoms dropped 41.8%. But the placebo group dropped only 12.7%. There were no significant differences in tolerability, adverse events, or lab changes. The authors pointed out that these results were similar to women taking HRT for three months. You won't see this study plastered all over the press. There won't be herbal ads on morning soap operas. And you won't hear anything from conventional medicine that herbs work as well as their drugs. It's a tragedy that medicine deliberately ignores safe, natural remedies in favor of greed and profit. If you have menopausal symptoms, please consider using these herbs instead of HRT. I've recommended both of these herbs for years. They are two of my favorites, and now combined, make prescription hormone therapy completely unnecessary for most. The herbal extracts are readily available individually at most health food stores. You can combine them easily in your own home or just take them at the same time. Ref: Uebelhack R., J.U. Blohmer, et al. "Black cohosh and St. John's wort for climacteric complaints: a randomized trial," Obstetrics and Gynecology, 2006; 107(2 Part 1): 247-55.